The Head of State and Government is now in Belarus, where more business engagements await, as well as a meeting with the country’s President Alexander Lukashenko. Several economic sectors were covered in the agreements, including mining, agriculture, infrastructure and education. 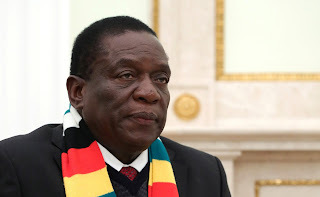 President Mnangagwa assured President Putin that the era of deals failing to see the light of day was a thing of the past, emphasising that his new administration would deliver on its side of the bargain. In Minsk, President Mnangagwa was received by Belarus’ Chief of Presidential Affairs of Belarus General Colonel Victor Sheiman. Zimbabwe and Belarus have enjoyed diplomatic ties since 1992 following the break-up of the Soviet Union, but it has only been in recent times – with President Mnangagwa taking a proactive role – that the countries have started extending these relations into the economic sphere. President Lukashenko invited former President Mr Robert Mugabe to Minsk several times, but he never set foot there. As VP and now as Head of State and Government, President Mnangagwa has set about correcting that, exposing Zimbabwe to the potential benefits of accessing Belarus’ sound technical knowledge of mining and agricultural equipment. Equipment from Belarus has seen Hwange Colliery’s monthly output rise from 50 000 tonnes to 250 000; and that of the Zimbabwe Mining Development Company to 40 000 carats of diamonds.